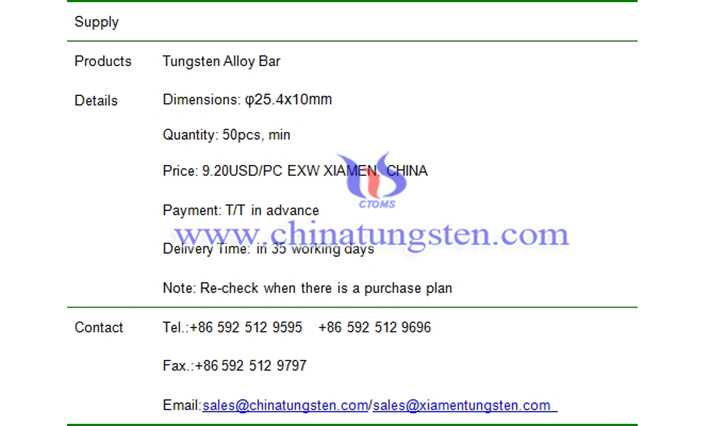 φ25.4x10mm tungsten alloy bar price is 9.20USD/PC on Jan. 29, 2019. The composition of the bar is 95WNICU with density of about 18g/cm3. Its size conforms to international standard ASTM B777. 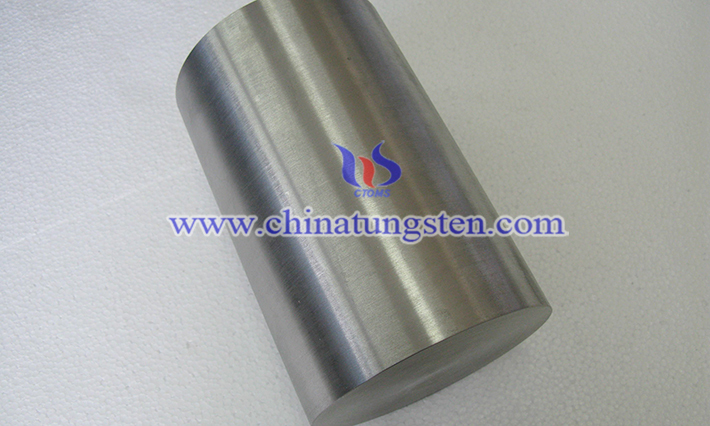 Tungsten is economically fabricated by powder metallurgy techniques and combined with different elements such as nickel, copper, and iron to produce a large variety of tungsten alloys that have found wide acceptance in applications such as radiation shielding, medical equipment, boring bars, vibration dampening, sporting goods, as well as counterweights in aircraft and racing cars.